Harrowing, poignant, and deeply moving! 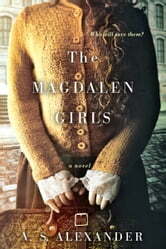 This novel brings to light and reminds us of the abhorrent institutions known as “laundries” where women who were supposedly fallen were sent for treatment, often for trivial reasons, only to endure emotional and physical abuse, excessive workloads, meagre basic necessities and often vicious, sadistic punishments. The story follows the lives of three different girls, Teagan, Nora and Lea, and reflects on the different spirits, strength, and resilience each uses to survive in such demeaning environments. The prose is sophisticated and descriptive. The characters are multi-layered, dejected, and strong. And the plot is a good mix of historical fact and intriguing fiction. I have to say I did not know much about these so-called “laundries” before I read this novel and I am touched and appalled to think of all the women who lived and suffered in these horrific institutions and continued to do so late in the 20th century, with the last one only closing in 1996. Overall, this is definitely an enlightening, heartrending novel that is well researched, well written and extremely impactful. Sad story.... but hard to put down. Definitely worth reading. I had no idea such places existed. Well written. I had a hard time putting this book down. I love books like that. It got me from the very first page. I found this to be a very powerful book that stayed with me long after I was finished. No "innocent until proven guilty" logic for these girls, having to endure cruelty and inhumane conditions, with no hope of freedom or compassion from the nuns who are in charge. In spite of the dismal conditions, bonds form among the characters, but with often tragic results. Very good. The history is the best in this moment.